Got off the train and then what did I see? 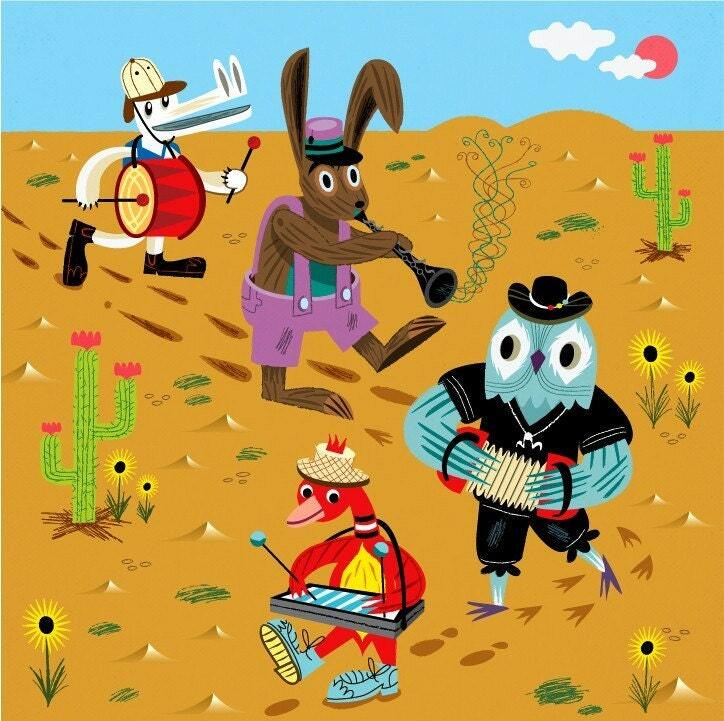 A limited edition illustration titled - 'The Animal Jamboree' printed on the finest archival matte canvas paper. The print is part of a limited edition of 50 and comes numbered, signed and titled by hand by the artist. Very helpful and shipped direct to the little boy who was getting this for his birthday. I left it late to order but the picture arrived in good time. Many thanks iOTA!